Sniff! 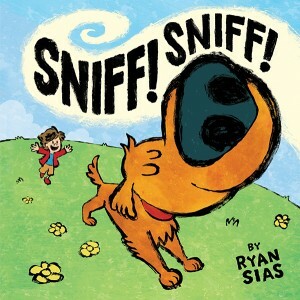 Sniff! 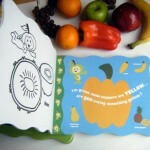 by Ryan Sias a Abrams Appleseed Book. Publishing Date: April 2015 pre-order here! 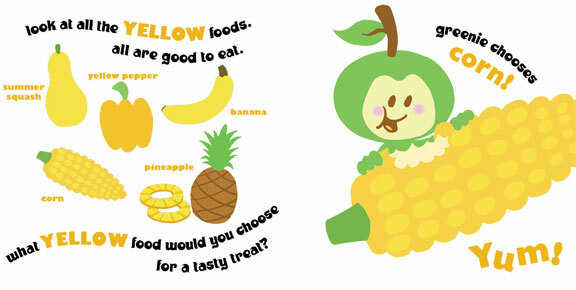 A lively puppy is on the loose, sniffing his way through town and causing mischief! But what is the pup sniffing? 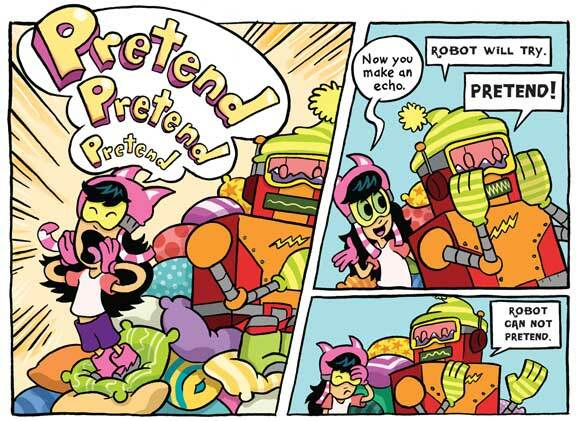 Readers will follow the clues, from bacon and pancakes at breakfast to garbage cans and fire hydrants in the park, to guess where the dog is running to next. 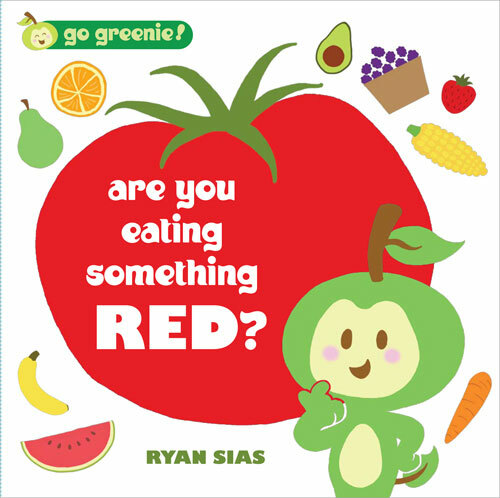 Will he finally find what he is looking for?Author and illustrator Ryan Sias uses bright, dynamic illustrations and minimal text to create a delightfully funny story that will have young readers guessing until the very end. 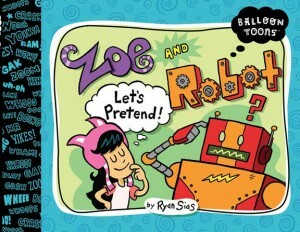 In Ryan Sias’s Zoe and Robot Let’s Pretend, a young girl tries to teach her robot how to pretend, but how do you use your imagination when you’re a robot? 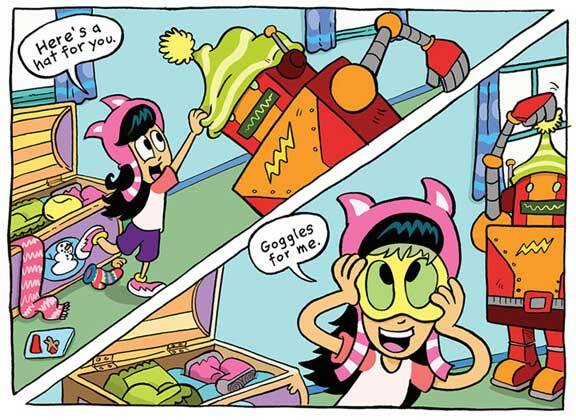 Sias’s vivid cartoons lend wit and warmth to a funny friendship. Meet Greenie, a new mealtime mascot for young readers and eaters! A juicy red apple? 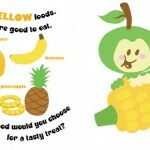 A sweet yellow banana? 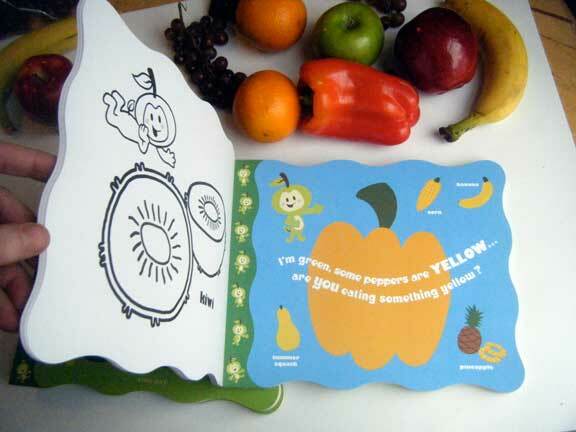 How about some orange carrots? 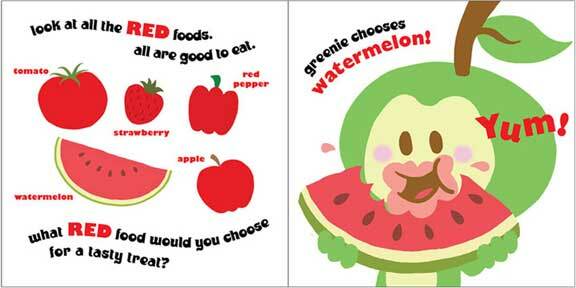 Greenie helps kids choose from a rainbow of different fruits and vegetables, each healthy and nutritious. 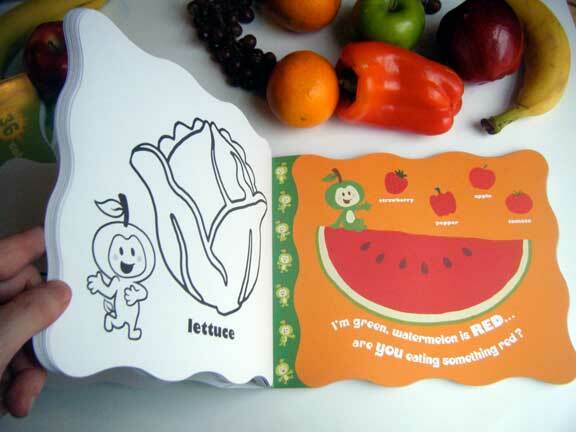 This sturdy board book is easy for kids and parents to take along for healthy mealtime fun. Meet Greenie, a new mealtime mascot for young diners everywhere. 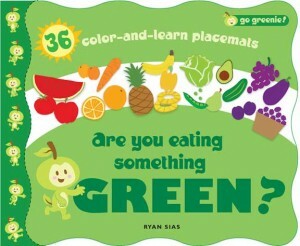 With 36 full-color placemats, Greenie helps little eaters choose from a rainbow of different fruits and vegetables. 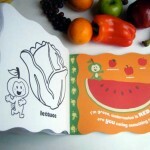 It’s a fun way for kids to learn colors and what foods are delicious and nutritious. 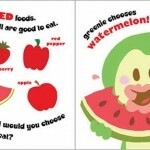 On the back of each placemat, the food is drawn in black line for coloring.